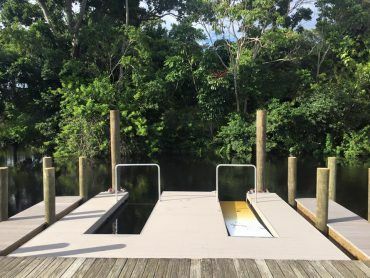 Dock Accents offers a great selection of Floating Dock Hardware for construction of floating docks, swim platforms, ramps or for other unique applications. Our floating dock hardware is designed for use with 1 1/2″ thick lumber (maximum width – 6″). In general, inside hardware can be mounted with 5/16″ lag screws or 1/2″ carriage bolts. it is recommended to use 1/2″ bolts or screws for all connecting outside hardware. 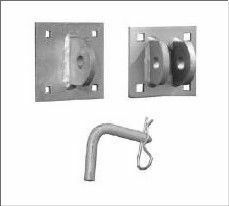 both male and female dock to dock connections are made for either 3/4″ bolts with lock nuts or 3/4″ connecting pins. Our floating dock hardware is “Commercial Grade” Heavy-duty 1/4″ thick Hot-dipped Galvanized Steel. 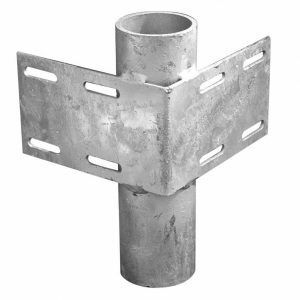 Fasteners are Galvanized or Stainless Steel. All pricing for hardware listed is for Commercial Grade Hardware.